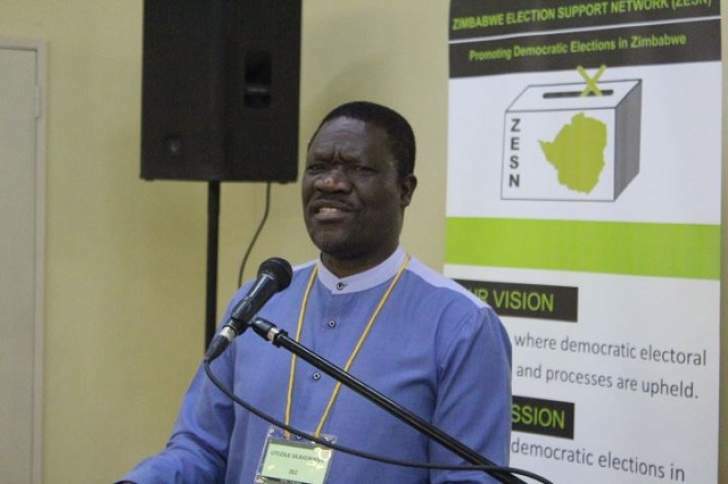 Inspection of the provisional voters' roll started on May 19 and is expected to run until May 29 this year at 10 807 centres established by the Zimbabwe Electoral Commission (ZEC) countrywide. The process allows prospective voters to check if their details are correctly captured and to correct any errors or anomalies found. Sifelani Tsiko (ST), our senior writer, speaks to Utloile Silaigwana (US), ZEC acting chief elections officer on a wide-range issues on the voters' roll inspection currently underway. ST: What has been the response like to the voters' roll inspection process? US: The response has been good. The inspection of the provisional voters' roll commenced at most of the 10 807 established inspection centres throughout the country on 19 May 2018 and is expected to end on 29 May 2018. About 90 percent of the inspection centres were fully operational on the first day of inspection. All inspection and registration centres are now operational. ST: Do you have any figures of the number of prospective voters that have managed to check their voter details? US: The number of people who have physically inspected the provisional voters` roll stood at 694 030 as at 24 May 2018. This is over and above the figure of 819 935 who used the USSD code *265# and 3 256 440 bulk SMS sent to registrants who supplied ZEC with correct mobile phone numbers. This implies that as at 24 May 2018 about 4 770 405 people had checked their registration status on the provisional voters' roll. ST: Do you think 10 days is adequate for this process? US: As a matter of fact, the number of days for this exercise is 11 days from 19 -29 May 2018 all inclusive. The commission is of the view that the 11-day period is adequate given the adoption of other intervention strategies such as the use of the USSD code *265#, bulk SMS and on-line inspection link bvrinspection.zec.org.zw on the ZEC website www.zec.org.zw <http://www.zec.org.zw>. ST: What are the most common discrepancies that you have managed to pick from the voter inspection exercise? US: The most common discrepancies that the exercise has managed to identify for correction include the usual typographical errors and in some instances, the mis-postings of registrants. As the commission has always said, the aim of the inspection exercise is to give registrants an opportunity to check if their details were correctly captured before the final voters` roll is gazetted. ST: How do you intend to address or minimise such errors in future elections? US: In future, the commission will further strengthen its training programmes for the entire staff involved in similar exercises in order to minimise such errors. ST: What were some of the major concerns of the public about this process? US: The public has expressed anxiety over the security of the voters' roll which is being inspected on line. The commission would like to inform the public that measures have been taken to ensure that the voters' roll is secure from hacking and that no one else besides ZEC has access to it. ST: How are political parties seeing this process? What are their concerns? US: Political parties wanted the commission to consider increasing the number of registration centres for those that had been left out during the Biometric Voter Registration blitz exercise. The commission considered their request and a total 2 041 registration centres were set up across the country to facilitate transfers and new registrations during the period of the inspection exercise. The political parties have been actively participating in the process by urging their members to go and inspect the voters` roll although no formal feedback has been received from them on the exercise. ST: Have any of the invited foreign observers shown any interest in the voters' roll inspection process? If, yes, what has been their reaction? US: Yes. Some of the observers were of the view that the 11-day inspection period was a bit short but were satisfied by the several avenues that the commission had created to facilitate rapid inspection within the set time-frame. ST: What are some of the lessons you have gathered from this process that could be useful in future elections? US: The commission identified capacity building of staff, intensive voter education and more stakeholder involvement as key lessons that should be carried into the future to ensure the success of such processes. ST: How many cases of multiple registrations, sharing of the same ID number and of the deceased have you registered in the ZEC exclusion list? ST: Some roads are impassable making it difficult for your teams to reach remote areas. How have you dealt with such constraints? US: The commission has engaged the District Development Fund (DDF) to repair such impassable roads so that they are accessible. The commission has also hired all-terrain vehicles to traverse these roads. ST: How much did ZEC budget for this voter inspection process? Is this amount adequate? What could be the ideal amount to carry out such an exercise? US: ZEC budgeted $18 million for the inspection exercise. The amount is adequate to cover all the logistical and administrative costs pertaining to the exercise such as transport, allowances and material requirements.